This good, old, black brood mare owed us nothing. She has produced many fine foals over the years, and some of her foals have gone to repeat buyers. Her foals have sold throughout the Midwest – from Wisconsin, Minnesota, Iowa, to Utah. A consistent producing mare. 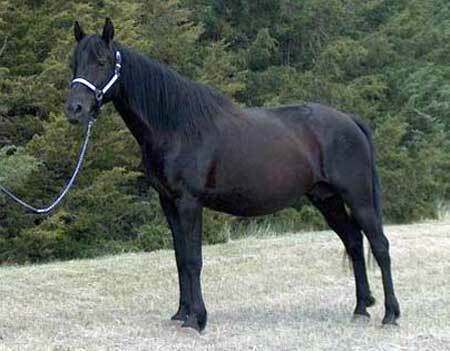 Her grandsires are Rimlo Black Prince and Wyoming Flyhawk, which traces back to Flyhawk many times. There is a strong influence of black in her pedigree.